WipeOut! is the amazing MicroFibre Cleansing Cloth that removes even tough, long-wear and oil-based makeup, with JUST WARM WATER! When wet the special MicroFibres swell up, grab onto makeup particles and hold them tightly so makeup is WipedOut (and not smeared all over your face). Unlike many face wipes, WipeOut! 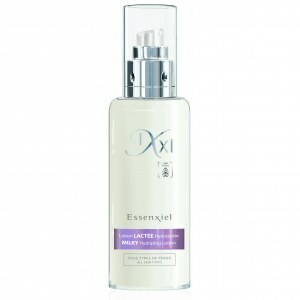 is super-soft and perfect for use on sensitive skin, eyes and lips. No cleanser needed. WipeOut! is quick-drying, double-sided, machine washable at 30°C and can be reused over 1000 times making disposable makeup wipes a thing of the past. 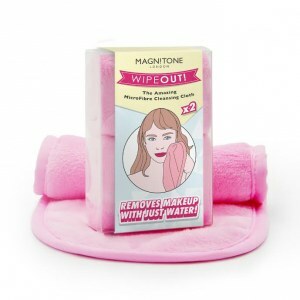 The Magnitone WipeOut cloth when recieved was a lovely pink colour which always is appealing to myself any many other. When i first went to use it i soaked it in abit of luke warm water and started from my mascara and eyliner down to remove my makeup. As i went down the cloth was very soft and would be great for anyone with sensitive skin as it felt so delicate upon the skin. Once done i didnt need to double cleanse my face as it did remove all my make uo which was excellent. This product would save me from buying wipes, cleansing liquid and cotton pads which is a big bonus for everyone. However on the packaging it said it can be used several times so when i went to put it in the wash it was very tough to take the makeup off it. Overall out of 5/5 i would give it a 4 since it did its purpose and more by saving myself and many others money on cleansing products. 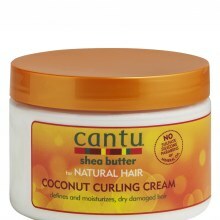 I woyld definately recommend this product to my friends anf family. I love these wipes! They are soooooo soft and remove make up effectively. I also love the fact that they are easily machine washable and as you get two in a pack you can constantly have a cloth ready to go! It is so good to know that you can remove your make up without any harsh chemicals or additives. I know of a few people who suffer from sensitivities and these would be perfect for them! I might even pop a pack in an upcoming birthday gift! 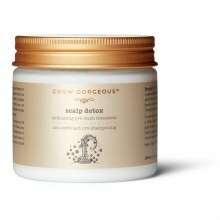 Overall, a great product and I would recommend. Removed all make up. Face felt clean and fresh once removed. Product feels nice on face as well. This Magnitone face cloth for removing make up is just great, didn't believe it but after I have tried it it's wow effect really, Even removes your waterproof mascara really easy. Recommend this to everyone. It's money saving. To be honest I was a little sceptical about these cleansing cloths and I wasn't really convinced that a microfibre cloth could remove my makeup with just water- But I was completely wrong! These cloths are amazing. They are super soft and just gently glide over skin. It was really easy to gently wipe away my make up , there was no harsh rubbing or scrubbing that can happen with wipes. The cloth is a good size, so you can use a new area for different parts of your face. I tend to wear heavy eye makeup and when using wipes I use a separate wipe for my eyes and then another for the rest of my face. But the Wipeout! cloth is big enough that I can clean my eyes and then use a clean area for my face. The cloth removed all traces of my makeup, the first time I used it I was shocked at how well it worked. My usual makeup removal routine is using a couple of wipes to remove most of my makeup and then using a cleanser to remove the remaining makeup. 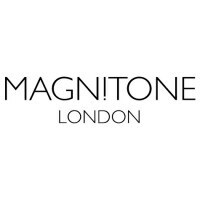 Using the Magnitone cloth, my makeup was totally removed and so there was no need to follow with a cleanser to remove makeup. I followed with a small amount of cleanser but this was for the cleanser's skincare benefits. With these cloths you will no longer need to buy wipes again and you can use less cleanser, I will be saving a small fortune. The cloths come in a pack of two, so you always have one at hand while the other is in the wash. The cloths wash really well and come out looking and feeling new. I'm so happy I was picked to give these a try, my makeup removal is now easier, less time consuming and I will be saving money. I have sensitive skin and wipes and even face washes make my skin sore, red and dry. These cloths are absolutely fantastic my skin fells so soft and dry and there's no need to use any other products along with it makes my life easier with 3 teenagers and a baby. I admit if i saw these in the shop the price of £14.99 would really put me off however i will be going out to purchase more when i need to they are fantastic and my skin has never been so fresh i've had no redness or itchy dry skin since i started using these. One tip i will give is when washing them do not use any fabric conditioner as it makes it go slimy and gross. Thank you for picking me and allowing me to try it out. 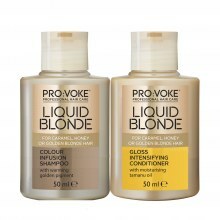 I must admit I was very keen to try this out - used it on the day I received to remove my foundation, mascara and eyeliner with just water and amazing results. I have also used with my usual cleanser and it's good too. I like that it can be reused over 1000 times making disposable makeup wipes a thing of the past and saving money in the process. Pack had 2 in it and thats more than what I'd spend on facial wipes in a year! I loved this! Lovely and soft and left my skin feeling really clean. I don't tend to wear mascara often so can't say how well it'll remove that but it removed all traces of my make up (foundation, blusher and concealer..) and left my skin feeling lovely, fresh and clean. Highly recommended. I've heard of microfibre cleaning cloths before but wasn't aware that you could get them for make-up removal!. I took one of the cloths on holiday to use which was very convenient. The cloth used with warm water felt nice and soft on my face and it removed make-up perfectly fine. I previously used face wipes on my face initially to get rid of the make-up and then go over my face with a cream cleanser & toner to give my skin a deeper clean and I would do exactly the same with these. I do think they are a little over priced though bit I guess it depends on how long they last. All in all I would definitely recommend!. The cloth is so soft, make sure you wash on 30 degrees before use! i love it the cloth is super soft and removed all my makeup its going to save me loads on wipes. i recommend this product,just make sure you keep washing them but you do get 2 in a pack which is a bonus and can be used over and over again.